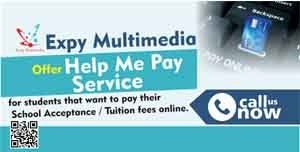 Share Expy Multimedia: What is JAMB UTME? JAMB is the body established by law to conduct matriculation examinations into tertiary institutions in Nigeria. JAMB used to conduct two matriculation examinations in Nigeria, the Jamb UME, a University matriculation examination, and the Jamb MPCE (also called Poly Jamb), a matriculation examination targeted at Monotechnics, Polytechnics, and Colleges of education. Starting from 2010, JAMB started conducting only one examination. The Jamb UME and MPCE has been replaced by the Jamb UTME, which is a matriculation examination for admission into tertiary institutions. Unlike Jamb UME and MPCE results that are valid for just one year, the JAMB result will be valid for two years. In additions candidates for Jamb UTME will select two Universities, two Polytechnics, and two Colleges of Education during their registration. Based on Jamb UTME result, candidates will be allocated to any of the six institutions selected. The beauty of Jamb UTME is that candidates who fail to secure admission into Universities will still have the opportunity of securing admission into Polytechnics and Colleges of Education instead of waiting to write another Jamb. Jamb Direct Entry is an opportunity provided by Jamb for candidates with advanced level qualifications to gain admission into the University. Jamb DE candidates register for direct entry to a University of their choice. Based on their performance at both advanced and ordinary level they may be offered admission. 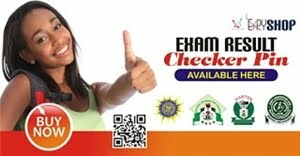 Jamb does not conduct any direct entry examination, you simply access based on your A Level and O Level performance. However, the University you apply to may conduct a Jamb direct entry screening test. Jamb DE 2013 online registration will be done at www.jamb.org.ng/DirectEntry/.